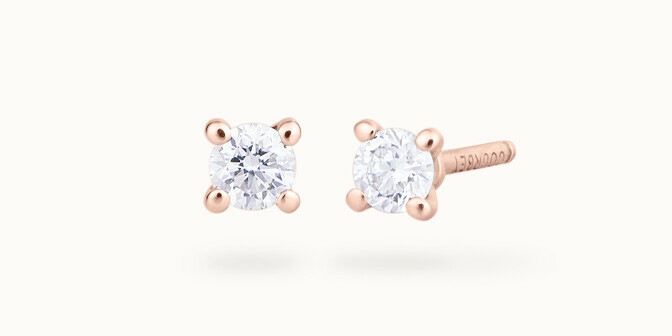 Earrings have a special place in fine jewellery because they are the only jewels to be worn in pairs. Who could fail to see a marvellous symbol of diversity in unity. Two earrings, representing the twin roles so many women play in their careers and at home, or the strength and softness that make up your personality. 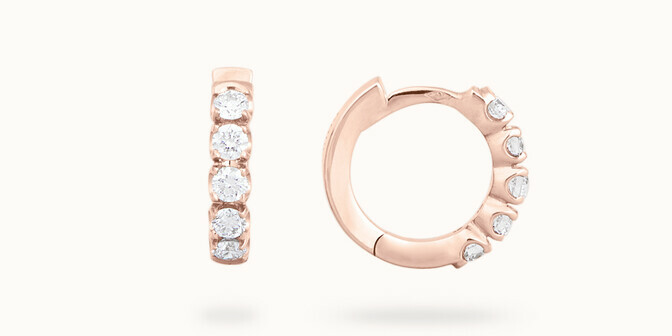 As you brush away a lock of hair, your pink gold earrings are revealed in all their splendour. 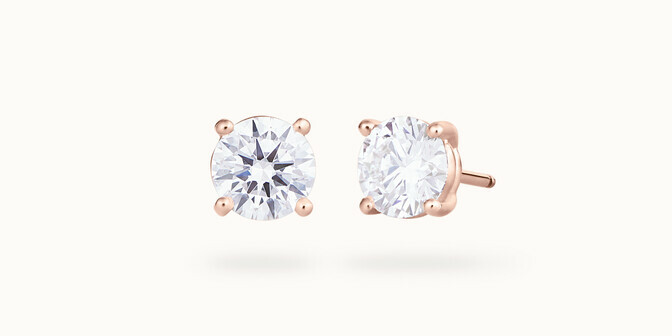 Would it be wrong to say they are the most subtle of jewels. 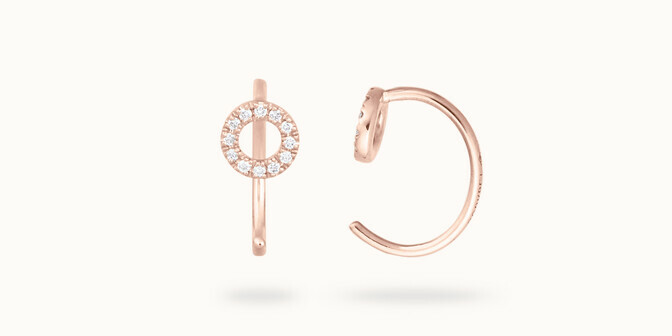 Since time immemorial, gold has been the precious metal most loved by jewellers, and pink its most special hue. 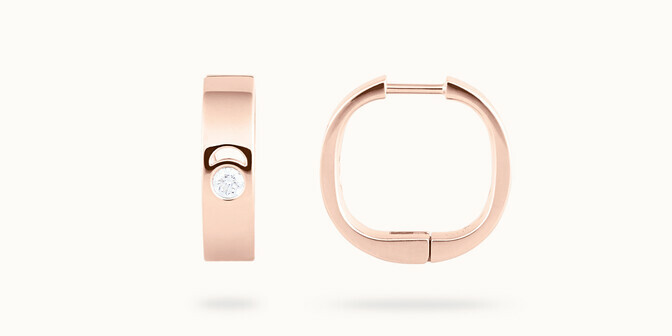 As radiant and as solid as yellow gold or white gold, pink gold is flattering to every skin tone. The beauty of its gentle, glowing nuances will never fade. At Courbet, we take pride in the diversity of our collections and the creativity of our artisan jewellers. 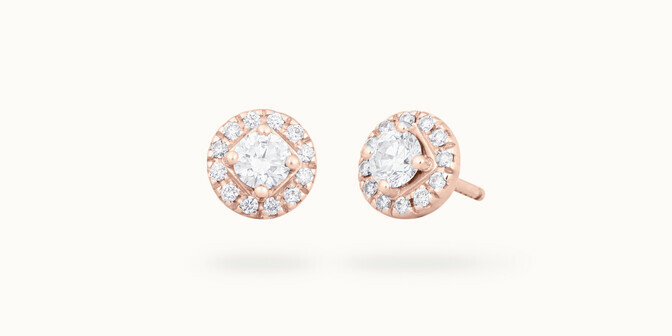 Our earrings are infinitely more than simple adornments. Each style conveys a symbolic meaning full of poetic enchantment. They have a wonderful story to tell, if we only listen, of lovers together until the end of time, of stars chasing through the heavens, or eternal beginnings. Whether the simplest of studs or long and sweeping, our earrings testify to the exceptional skill and immense talent of our jewellers. Craftsmanship and a love of beautiful things are common to every fine jewellery house. At Courbet, we go further and add an ethical belief. All our creations are the result of a responsible, sustainable approach. 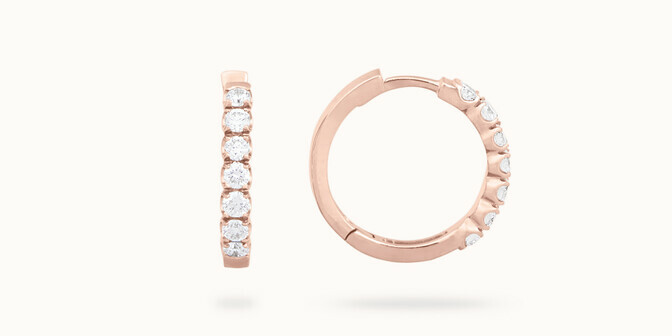 The gold in our jewellery is 100% traceable and recycled. All our diamonds are grown in a laboratory. We do our part to protect our wonderful planet's natural resources.